I have a little problem with newly updated FSIPanel with P3D v 4.1. 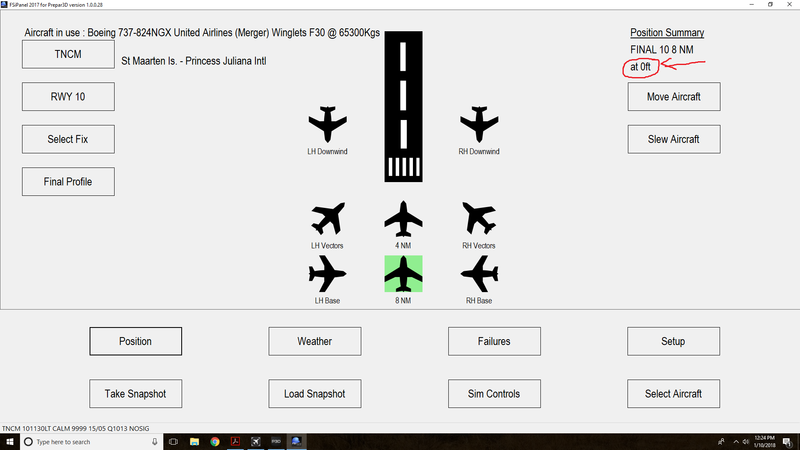 I followed the necessary step to import PMDG 737NGX, and when I launched FSIPanel for the test, Altitude was set as "zero." If I remember correctly, the previous version automatically set up the altitude for 3 degree final approach, but new version does not do it. I have attached the picture for your information. Did I miss something? Thank you for your attention. Thanks for your report, will be fixed today. Please use the new FSiPanel 2017 forum for all questions related to 2017 version. Oops. I did not know that there was a designated forum. After the update, it works great! Thank you for your prompt response, JP.